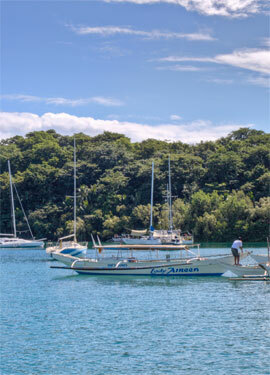 In the tropical paradise that is Puerto Galera lies White Beach Hotel, Bar and Restaurant, a modest beach front retreat that is big in comfort, but easy on the pocket. Sprawled on a sweeping stretch of pristine beach, our 45-room hotel is hard to miss. It is awash in vibrant splashes of green and sunshine yellow. Our budget accommodations come with air-conditioning, cable TV, and private shower, so you can relax in true holiday fashion. Aside from casual yet comfortable rooms, our hotel also offers ample facilities for a variety of needs. 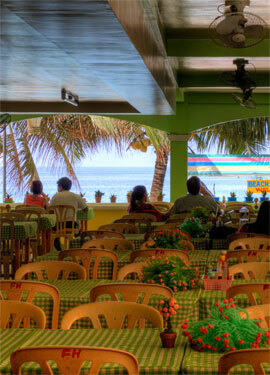 Within our walls you'll find an aptly furnished function hall, convenience store, and restaurant. 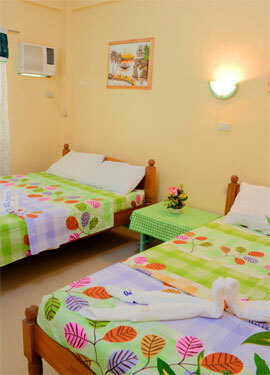 Check out our Rooms and some of our Packages and Promos on offer. 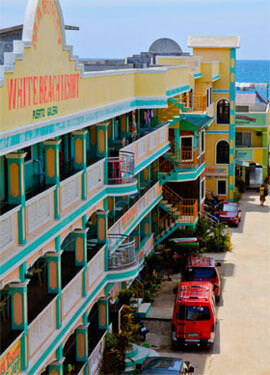 message to your Facebook friends to tell them about this White Beach Hotel page. © 2019 White Beach Hotel, White Beach Puerto Galera, Philippines. All rights reserved.